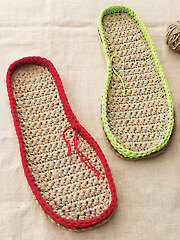 Now you can easily make crochet soles for slippers in any foot shape or size. 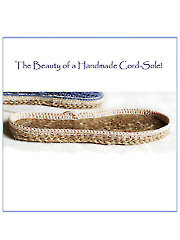 Using materials such as twine, rope, or cord will make these cord soles durable and easy to use. There are tutorials and templates for several foot sizes along with photos and more. Plus best of all the pattern can be downloaded to get started using right way. 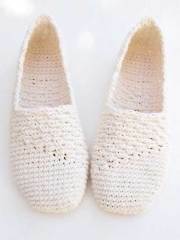 Use with several different crochet slipper patterns including the ones listed below. 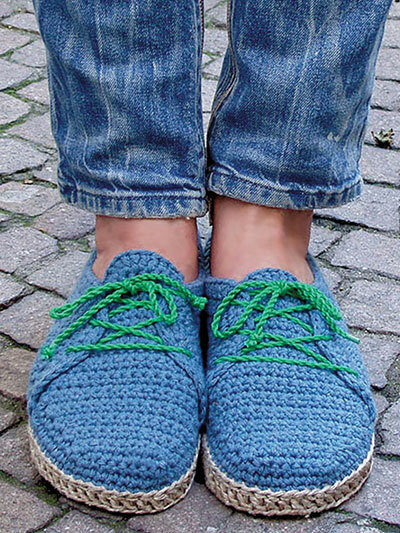 With this tutorial you can easily crochet soles for slippers. The pattern calls for crocheting using triple strands of sport weight yarn or you can use twine or heavy weight yarn to make it more durable and can be crocheted in sizes small through extra large including kids sizes. The soles can be attached to several different slipper styles including the ones listed below. Crochet an edge to fit around the flip-flop sole, the shoe is worked around the edge then glued to the sole using 1 tube transparent silicone/caulk/sealant. 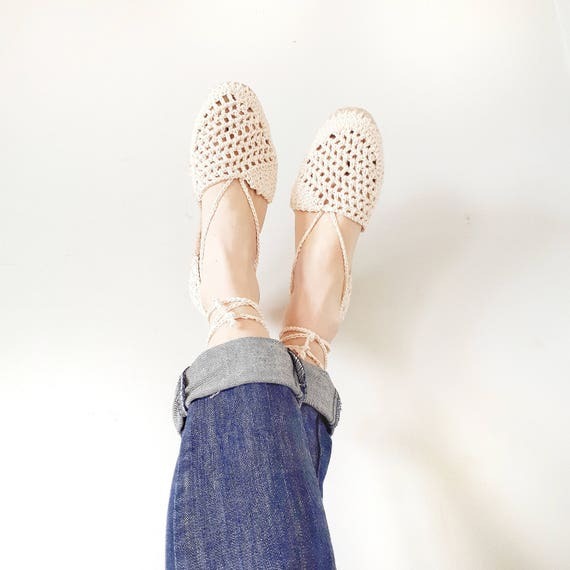 Design is made using worsted-weight cotton yarn for top of shoe and for sole edge, 2mm thick string/twine, hemp or jute. 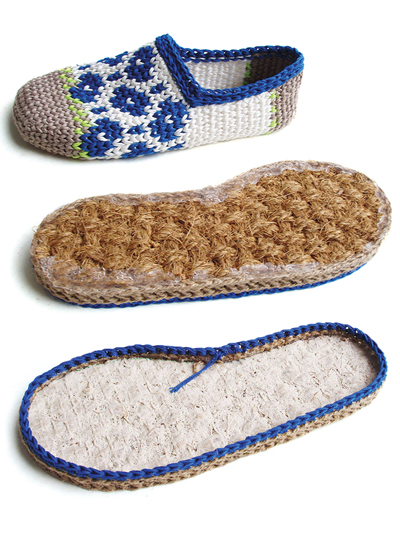 Pattern includes written instructions, up-close photos, symbol crochet and a tutorial for the flip-flop soles. Free Pattern Friday! Free Patterns for Baby!